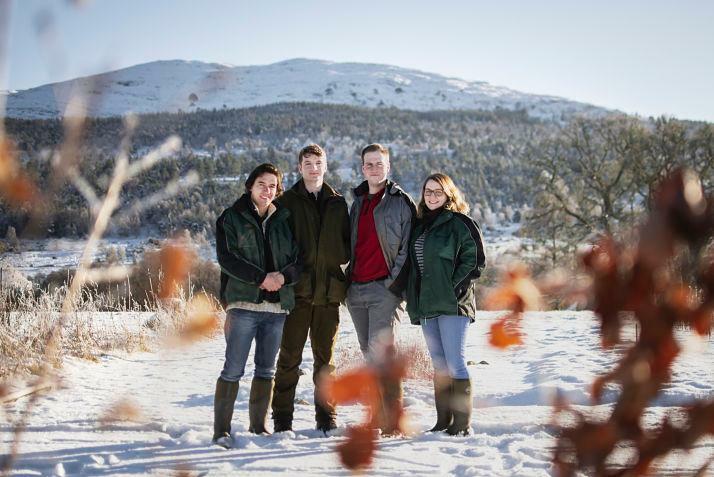 A unique rewilding training scheme in the Highlands, run by conservation charity Trees for Life and backed by the National Lottery Heritage Fund, is aiming to boost young people’s skills and employability in the rural economy. Applications are open this month for the award-winning charity’s Skills for Rewilding programme, which is offering five people the chance to spend a year learning practical skills in landscape management, horticulture, community engagement, and estate management. Mainly based at Trees for Life’s acclaimed Dundreggan Conservation Estate in Glenmoriston, the successful applicants will be able to develop skills in rewilding – helping damaged ecosystems return to a natural state – that will also be transferable to other organisations. “We’re looking to train young people who haven’t found their niche yet, or who are looking to change careers. It’s an exceptional opportunity to gain the practical experience which is highly sought after by employers, whilst being based in a spectacular setting,” said Paul Greaves, Trees for Life’s Skills for Rewilding Manager. Trees for Life is restoring the globally important Caledonian Forest and its wildlife. The forest once covered much of the Highlands, but after centuries of deforestation, only around 1% now survives. So far Trees for Life’s volunteers have established 1.6 million trees, and the charity is also successfully reintroducing red squirrels to fragments of suitable forest across the Highlands. Focusing on work experience rather than academic learning, the trainees will work alongside Trees for Life’s team – carrying out hands-on activities such as growing native trees from seeds, landscape management, helping volunteers plant trees, engaging with communities and schools, and ecological monitoring. They will gain accredited qualifications, including some from the University of the Highlands and Islands, and will also get the chance to broaden their experience by going on placements with organisations such as the RSPB and Scottish National Heritage. Last year’s programme attracted more than 100 applicants. Those taking part came from backgrounds including education, painting and decorating, and the hospitality sector. Trees for Life hopes to attract people from groups poorly represented in nature conservation, including younger local people, women, and individuals hoping to make a career change later in life. Applicants must be UK nationals and at least 18 years old when the traineeships start in July. The programme covers living expenses, and is funded by The National Lottery Heritage Fund. Applications are open from March 1 to 9am on Monday 18 March. To register interest, email traineeships@treesforlife.org.uk. See www.treesforlife.org.uk or call 01309 691292.